Caption: Morris Dancers at Folk on the Quay festival. 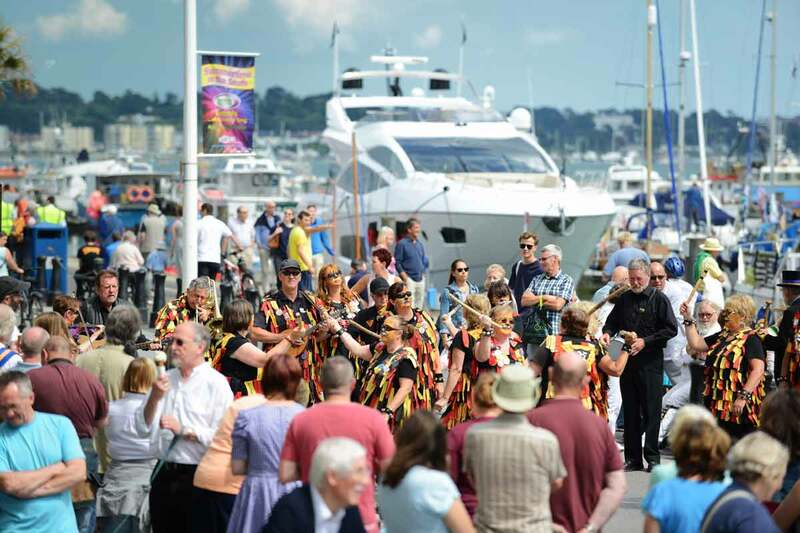 Poole Quay will be transformed into a waterside music venue, complete with award winning Folk acts, street ceilidhs and Morris dancing for Folk on the Quay. The free Folk festival will see an outstanding line up play and dance across two music stages on 30 June from 11am until 9pm. There will be performances from Morris dancers, featuring styles from across the UK including Cotswold, Ireland and Dorset, plus Bulgarian folk dancing. At the Appalachian dance stage, located outside Quay Amusements, there will be the chance to enjoy some of the UK’s finest step dancing originating from the mountain music of the USA. For families, there will be the opportunity take part in a Ceilidh with Threepenny Bit or a Longsword workshop in the early afternoon with Anonymous Morris. The Folk on the Quay festival is part of Poole’s Wave 105 Summertime in the South events programme. Visit http://www.folkonthequay.co.uk for more information. Visit http://www.pooletourism.com for more information.